If a leasing office could capture the number of clients who entered the office and compare it to the number of applications completed, would that information be useful? If the maker of a popular soup could see the number of individuals viewing its competitor’s products in the grocery store aisle and determine gender, age, mood and duration, would that information be useful? If a kiosk could capture the number of patrons, gender, age, mood, duration and time of day, would that information help develop a better interface and content for the patrons. Titan Channel Partners has developed and implemented custom solutions to better track customer experiences. By analyzing in real time the data you can build a better mouse trap. Weather the mouse trap is a client friendly lobby in a leasing office, more attractive packing and better placement for a can of soup or improved content at a kiosk. 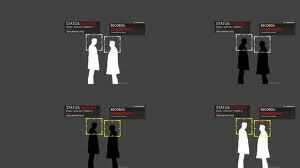 All in a fraction of the time it would take to gather intelligent data using traditional methods such as focus groups and surveys. Contact Titan Channel Partners and let us design and deploy a custom retail solution for you TODAY! For additional information e-mail: info@TitanChannelPartners.com, call +1 949 542 6128, or post and leave a message below. Top 5 Reasons Why you need to redesign your website Today! Like most businesses you probably created your website when you started your business. Over the years you have made small changes to your website such as adding new products and services you now offer. Have you considered that your website no longer contains the optimal coding that is now required by search engines? We are not talking about meta data or keywords you have been so diligent over the years to include, but the actual code that is used to create your website. Chances are that if your website has not be designed in the past 2-3 years using this new format you probably are not taking advantage of the new SEO tools now available to you. Recent changes by Google with their Panda and Penguin updates now use a different criteria than meta data to index websites. The search engines have found better ways to make your search experience better, by making your landing pages more relevant. Creating web pages that are already indexed allows the search engines to quickly index your site in the correct category and get your information to your customer who are looking for your products and services. Gone are the days of waiting 3-4 weeks to see your webpage appear in Google. We use Google as the standard as they hold 65% of the search market. Using these new web tools you can quickly update and see your content indexed by the search engines in days not weeks. 5. Our consultation is FREE!! Contact us today for a FREE consultation of your website. Let our Irvine California based company help you optimize your website. If you have just redesigned your website and would like a second option you are welcome to contact us well. The internet moves fast and you do not have time to keep up with the trends and best practices of website design. Let us do that for you so you can concentrate on your business. Contact us today! at +1 949-542-6128 or e-mail info at Titanchannelpartners.com. You may also post a question or comment here. Many Korean companies establish an office in the USA in the hopes of establishing a presence in the USA will help their sales. However this step is not necessary, to sell into the US distribution channel you need a top tier logistic and marketing services offer by Titan Channel Partners. Having worked with many foreign companies, Titan Channel Partners has assisted companies with 3PL and marketing services. Helping IT companies to get a jump on the competition by offering their products through Ingram Micro Distribution to give them a leg up over the competition. Foreign companies looking to make their goods available in the USA neglect the fact that their offering does not stop once you have established your logistical services. Marketing your products in the USA is key to getting your product to turnover. Success is measured by the number of times you can sell and restock your products (turnover). Titan Channel Partners with over 15 years experience has the relationships, know-how and talent to get your products on the shelf at big-box-retailers in the USA. Experts in making your products available through Ingram Micro Distribution is key to retailers and eTailers (.coms) having your producti information and ordering ability at their finger tips. Working with top tier eCommerce in the USA, we leverage our relationships to bring you the best marketing and co-op programs available to your category. Front page exposure on leading eCommerce sites will propel your sales right out of the gate. Stop gambling with 2nd and 3rd tier distribution and let us introduce your products to the premier companies in the USA for sales and distribution. For additional information on distribution and marketing services call +1 949 542 6128, or e-mail info at Titanchannelpartners.com, or post your comment or question here. Navigating the world of Information Technology (IT) is difficult. Add environmental factors such as lightning strikes, earthquakes, fire and monsoons and you have a maze of best practices to conquer. With over 15 years experience in supporting mining operations around the world, www.ITsupplyHouse.com offers the latest in servers, rugged PC, laptops and licensing support. When located in the jungle or desert protecting your hardware is different as the continent you are on. Dust proof cases, vibration tested memory, SSD hard drives surge protected switches and high performing wireless devices all aid in the long term success of your mining project. Licensing software can be a tricky mine field to navigate alone. Let the experts at www.ITsupplyHouse.com consolidate manage and expedite your licencing issues for you. Consolidating SLAs can provide additional discounts and expedite delivery to your mining project. Networking and server administration can provide a unique challenge. Environmental factors such as dust and moisture can adversely affect hardware performance. High availability servers and storage systems require constant attention. Custom storage enclosures provide great protection from the elements. How to become an Ingram Micro Vendor Fast! Get your products listed in as few as 8 weeks! Simple fast and easy! Step #1 CONTACT US TODAY. Titan Channel Partners has a 100% success getting manufacturer’s products listed in Ingram Micro, the top tier channel distributor. After a very simple contract process, which Titan Channel Partners walks you through, you will be assigned your Ingram Micro Vendor number and will be ready to start getting your Ingram Micro skus assigned to your account. Many believe the process to get listed in Ingram Micro as a vendor is a cumbersome process…. Nothing could be further from the truth. Here at Titan Channel Partners we navigate the paperwork and expedite the process in as few as 8 weeks. We have seen the process take as little as 6 weeks to get on board with Ingram Micro. However many make the mistake that the process stops after the Ingram skus are assigned, not the case, it has only just begun. Now that your products are listed in the hundreds of thousands of Ingram Micro skus, how will the customers find you? This is where Titan Channel Partners excels, we custom tailor a marketing program to get your products noticed by the large eTailers. Using our years of experience in the channel and working with our existing relationships, we can use our influence with the category buyers to display your products on their prestigious and influential web space for a faction of the traditional cost. In some cases we have negotiated ad campaigns for little or no cost to the vendor. 3. Watch your sales grow! Not all vendor setups can be easy, but in our experience and our 100% success rate, we have great confidence that you can become an Ingram Micro Vendor Fast! Review our other article www.titanchannelpartners.com/distribution-services/how-to-get-5-skus-into-ingram-micro-distribution for additional information on Ingram Micro vendor setup. Many industries turn to Google Adwords and start a pay-per-click campaign. Others will spend their budget on a SEO firm to help optimize their existing website in the hopes of attracting organic traffic (non-paying search). Many small practices typically create a website and then leave it alone. These firms have grown accustomed to the look of their website and in some cases get very emotional when it comes to changing it. Unfortunately change is part of the internet, the static website of the past has been replaced by the new interactive versions of today. No more should you wait to receive a phone call or e-mail from a client who saw your website, but they should be able to IM CHAT with your representative in real time. Web development has progressed to instantly respond to customers needing information and the legal sector is no different. If you are still waiting for the phone to ring or a new client e-mail to appear in your IN BOX….You may be waiting quite awhile. Clients want to engage with you instantly they do not want to wait for their e-mail or phone call to be returned. But wait, we are getting ahead of ourselves. First the client needs to find you. So how will a client find you? Your local customer will typically conduct a local search on the web and engage the first, usually the only attorney, that responds to their request. So we recommend telling clients about your specialties and success stories everyday! Let the client read about your expertise in specific areas such as litigation, tax, family law, criminal defense, DVM, DUI, probate and trusts. Let the client engage you directly on your webpage, post a question, leave a comment or IM CHAT. Dedicate an employee to monitor and respond to these post daily. No one goes home until all of the posts for the day have been answered. For additional information on How can lawyers get more clients, post or leave a comment. Have you ever accidently left your cell phone on when on a plane? Your battery is drained quickly. When the phone works hard to maintain a connection with the cell tower, you pay the price in battery life. Your 4G phone will attempt to connect to 4G no matter how weak the 4G signal is, therefore the battery will decrease rapidly while searching or switching between 2G/3G and 4G. Speed is Everything: The new 4G networks offer data speeds several times faster than 3G which is comparable to the broadband Internet services delivered to homes and businesses through cable TV or phone lines. 4G speeds vary by wireless provider. Signal boosters, such as the zBoost DataBlast, aid in amplifying weak 4G signal indoors. Multiple Users: A single 4G connection has a large capacity and is able to be shared by multiple users, just like a home broadband link. Users can use it to set up a “mobile hotspot” that can connect several laptops or smartphones to the Internet through the 4G connection. For additional information please post or comment here. Need a custom Kiosk builder to include wifi, a display panel and a custom stand? Titan Channel Partners is a custom kiosk builder for companies looking for specialized kiosks to be used in display windows, trade shows and as floor displays. Working with 4 or 5 vendors to integrate a variety of IT equipment is a daunting task. We simplify the process by providing all the integration under one roof. We supply all of the equipment, oversee construction, install in the field and provide post deployment support. 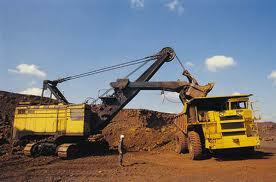 We also maintain brake fix inventory for equipment in the field for prompt repair services. Weather you are wiring a 30,000 sq foot night club or looking for a stand alone kiosk for your retail location, TCP has the options and flexibility you need. Looking for backend support of your existing network? Our datacenter expertise can assist you with managing content updates on a worldwide scale. Our kiosk builders and designers can provide cloud support or local USB updates for your content. Using the latest materials and building techniques Titan Channel Partners can design and integrate your kiosk to meet our display needs. Consider a standalone kiosk at the entrance of your store or a double-sided 55″ LCD panel hanging from you store window. These double sided panel can be configured to display a brighter image on side that the other when exposed to sunlight. Using embedded media players the content on these panel can be updated remotely and as often as you want. Here is a tip for your next custom build. The next time you are welding two pieces of metal together, consider covering up the weld with automotive bondo. Instead of seeing the weld after the painting process, you see a smooth fillet and gives your display a custom molded appearance. For an additional custom look consider routing your cables through the frame buy cutting custom holes to allow for CAT5/CAT6, USB and power cables. For additional information post a comment for a reply.